Orders cancelled are reviewed and then closed by the customer relations team using the "CloseOrder" form. 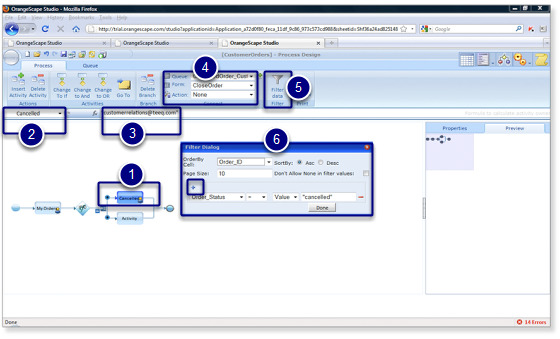 Select the workflow activity in the cancel branch. Rename this workflow activity as "Cancelled" by updating the value in the Namebox. Select the queue and form that must be used for accessing the order instances in the "Cancelled" workflow activity.